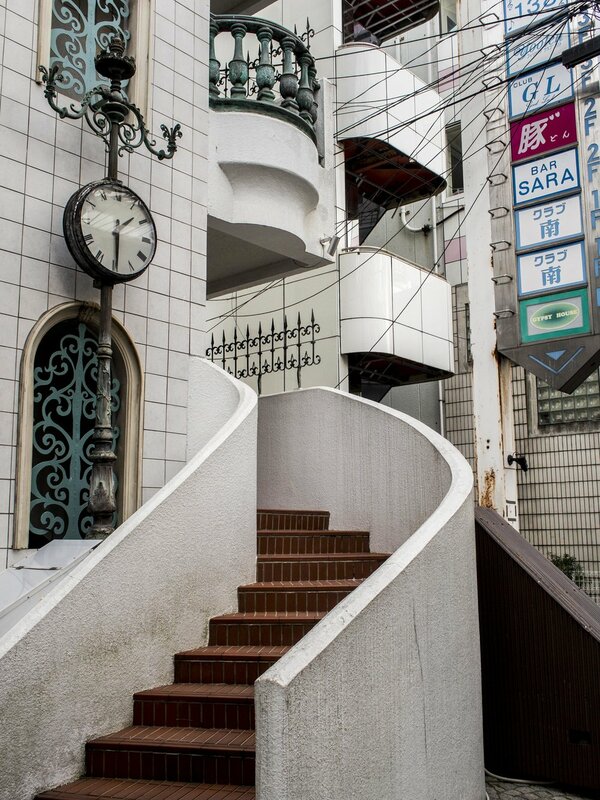 Kyoto, more than an other city I have been to in Japan, has a bewildering variety of architectural styles. Many can be seen in the space of only a few city blocks. The main shopping strip has everything from carved detail the Italians would be proud of, rust and run-down to all of the last 6 decades covered. But it’s when you get into the backstreets that the really cool (weird!) stuff appears. All this sits surprisingly comfortably with several hundred years of traditional building.